Dr. Ming Yi is an experimental condensed matter physicist broadly interested in understanding the fundamental mechanisms of emergent phenomena in quantum materials. She has in particular worked extensively in the area of high temperature superconductivity, whereby using experimental probes such as angle-resolved photoemission and x-ray scattering techniques has studied the behaviors of exotic electronic orders in these fascinating materials. She obtained her B.S. degree from MIT, and PhD degree from Stanford University, both in physics. After a postdoctoral position at UC Berkeley she will start an assistant professor position at Rice University in 2019. 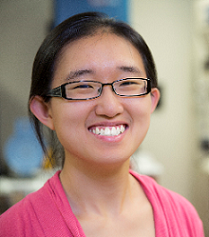 Dr. Yi is a recipient of the L’Oréal USA for Women In Science Fellowship in 2015, the Outstanding Dissertation Award of the International Organization of Chinese Physicists and Astronomers in 2016, and the William E. and Diane M. Spicer Young Investigator Award in 2018. As of the spring of 2018, she took on the role of an Editorial Board Member of Communications Physics. Q: Communications Physics is a new open access physics journal from Nature Research. What’s your view about it and what’s the reason for joining in as an Editorial Board Member? I accepted the invitation to be an Editorial Board Member for Communications Physics predominantly for the valuable opportunity to expand my horizons in physics research beyond my own areas of practice. In addition, I have submitted as well as refereed papers before, but had never sat on the other side of the submission portal. I succumbed to the curiosity to gain a more complete appreciation of the dynamics of the peer-review process, which has become an important and integral part of scientific research. I am also very grateful to Communications Physics for providing junior researchers like me the opportunity to actively participate in this process right from the launch of the journal and entrusting us to grow together with the journal. Q: Communications Physics has just launched this year and it already covers diverse research outputs within the physics discipline, like biophysics, astronomy, computing physics, optics, etc. What’s your experience when handling the manuscripts? I predominantly handle selected manuscripts within my areas of research. In terms of editorial responsibilities, there is still quite a lot for me to learn. I appreciate very much the guidance the internal editors of Communications Physics have given me. I must say that my experience so far has been very rewarding and has definitely given me new appreciation for the editorial role and the weight of responsibility it carries for scientific publishing with the goal of rewarding good science. Q: Where do you see Communications Physics sitting in the physics publishing environment? I think and hope that Communications Physics will become an important and active portal for disseminating excellent research work that advances our understanding across a wide range of fields in physics. The concept of open access is taking on momentum in scientific publishing, and I am looking forward to seeing how this evolves together with the scientific community. Q: Do you have any suggestions and experience you would like to share with the researchers who might want to submit to Communications Physics? What advice would you like to share with potential reviewers for the journal, particularly more junior colleagues? Communications Physics is in its initial stage, and I believe there is a lot of room for shaping how our journal will evolve to best serve the scientific community. I believe that by asking young researchers like me to take on active roles, the journal is giving junior researchers more opportunities to contribute to the dynamics of the scientific community and already shows a future oriented vision. This would also certainly be reflected in the participation of potential reviewers for the journal involving junior colleagues. I want to make one advertisement, which is that we are interested in publishing topical reviews in addition to research articles, and would welcome inquiries and suggestions. I am always eager to take advice and feedback from the larger scientific community on what we can do together to further improve the scientific publishing process for best advancing science. Learn more about Communications Physics and submit your research today at nature.com/commsphys.